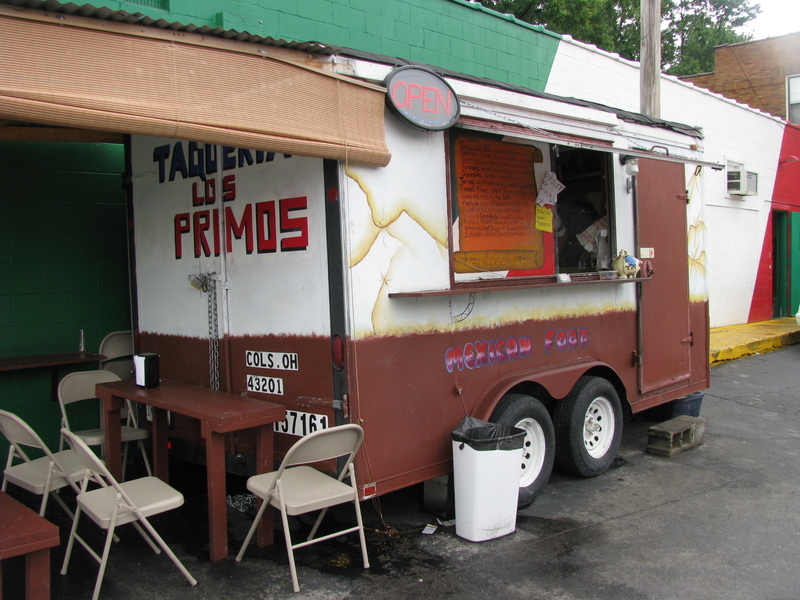 We were sad when the owners of Taqueria Davanne returned to Mexico but it wasn’t long before their truck was reincarnated to become Los Primos. 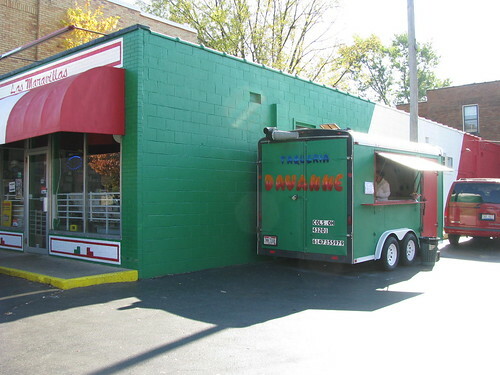 The truck is still parked outside Las Maravillas Mexican Market and you can go into the store to buy drinks or do some shopping while you wait for your food. 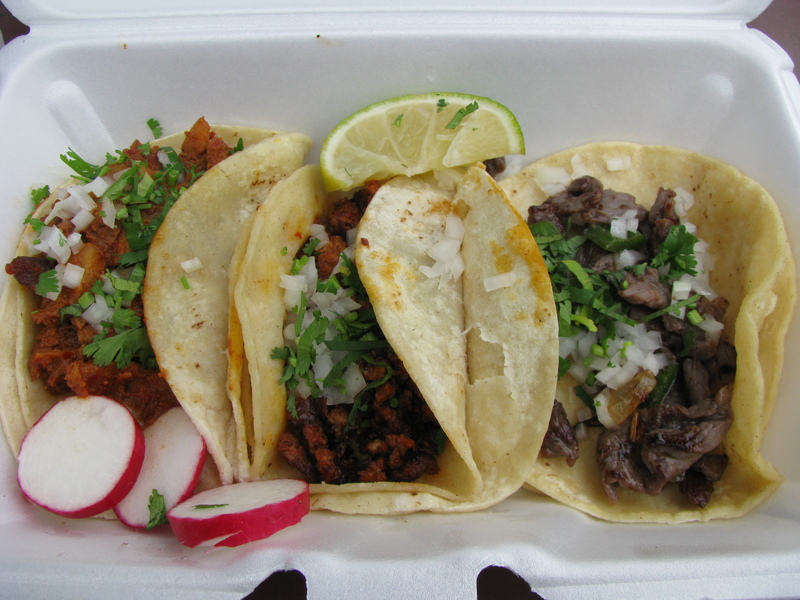 The truck offers most of the taco truck staples – tacos, burritos, quesadillas and tortas but no sopes or gorditas. 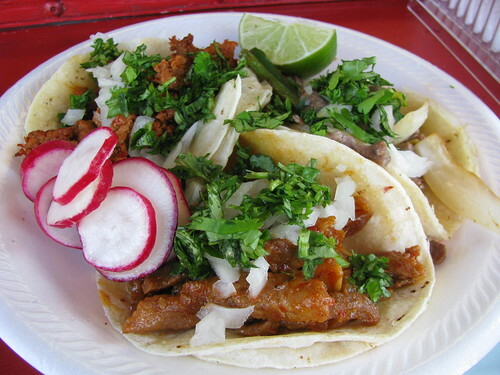 Taco meat options are steak, chicken al pastor, chorizo and cecina (marinated beef). In addition to the standard fare they also offer enchiladas and restaurant style plates with either steak, milanesa (breaded steak) or cecina. We ordered tacos with cecina, chorizo and al pastor and all were solid but the pale green salsa (we weren’t offered a choice) was a little disappointing. 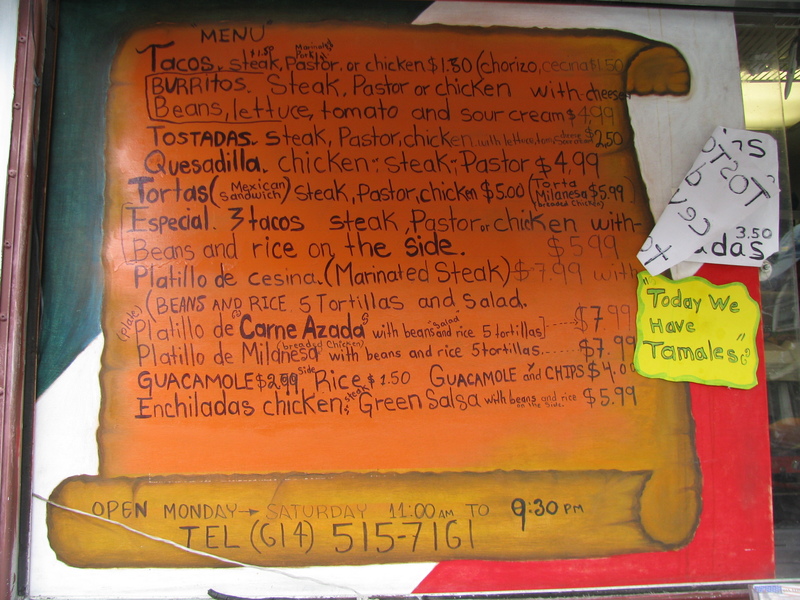 When we visited they were also offering tostadas de ceviche and tamales as specials. The ceviche had nice chunks of fish and some heat. You may want to add some extra lime and hot sauce. It was thoughtfully packed to go with the tostada separate so it didn’t get soggy. The tamale (green with chicken) was small and suffered from having been overly nuked. When we first started out with this taco truck blogging adventure, everyone asked us: have you been to the truck next to the Mexican market in Victorian Village? We had, and it was always closed. Until now, that is. A cousin of the owner of the market has taken the truck over, given it a fresh coat of paint, and opened up last week with a limited menu that they plan to expand with time. The hours may also increase over time. The owners are a husband and wife team and were very friendly. The truck name is a compilation of their children’s names. Currently, they offer tacos, tortas, burritos, and quesadillas filled with your selection from six different meat options. We tried the cecina, al pastor, and chorizo tacos, and all met or exceeded expectations. The chorizo in particular was nice – less greasy than most, but lacking nothing in flavor. It is house-made by the grocery store, so you can also go inside and buy some to take home.